Nowadays, social networks are more and more widely used as a solution for enriching users’ profiles in systems such as recommender systems or personalized systems. For an unknown user’s interest, the user’s social network can be a meaningful data source for deriving that interest. However, in the literature very few techniques are designed to meet this solution. 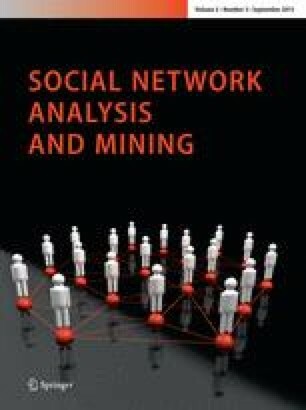 Existing techniques usually focus on people individually selected in the user’s social network and strongly depend on each author’s objective. To improve these techniques, we propose using a community-based algorithm that is applied to a part of the user’s social network (egocentric network) and that derives a user social profile that can be reused for any purpose (e.g., personalization, recommendation). We compute weighted user’s interests from these communities by considering their semantics (interests related to communities) and their structural measures (e.g., centrality measures) in the egocentric network graph. A first experiment conducted in Facebook demonstrates the usefulness of this technique compared to individual-based techniques and the influence of structural measures (related to communities) on the quality of derived profiles. A second experiment on DBLP and the author’s social network Mendeley confirms the results obtained on Facebook and shows the influence of the density of egocentrics network on the quality of results.